Today kicks off two weeks of reviews of gothic horror, suspense and otherwise creepy reads for my Halloween 2014 series. In the best of the gothic tradition, these shivery ghost stories feature creepy locations, dark family secrets, and mysteries that are better left unsolved. Both novels are literary with an oppressive atmosphere and a slowly building sense of dread. A literary ghost story with a general or slowly building sense of dread is an excellent description of the type of book I’m looking for each Halloween! In this classic, creepy ghost story, McMahon creates a sense of dread in a realistic New England setting. 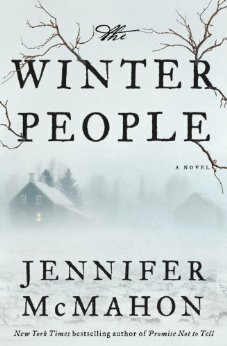 Using the small, remote town of West Hall, Vermont, McMahon winds a tail that begins in the early 1900s and continues into present day as a young woman digs into her parents’ past and learns of their dark secrets and those of her town. The Winter People really had the perfect amount of scary parts to fit what I was looking for. An historic farm house serves as the setting for a large portion of the story, from the early 1900s to the present day. McMahon uses clear, concise language to weave her tale. As the story progresses, McMahon develops her characters into realistic people with their own unique personalities. McMahon moves the plot forward at a comfortable pace, allowing the reader to settle in and enjoy her writing. McMahon successfully mixed two story lines together to create one rich story. Have you read The Winter People? What did you think? 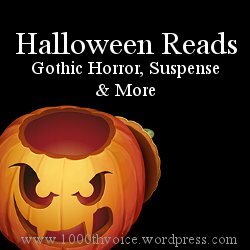 This entry was posted in books and tagged book reviews, fiction, gothic horror, Halloween reads. Bookmark the permalink. Enter your email address to follow The 1000th Voice and receive notifications of new posts by email.